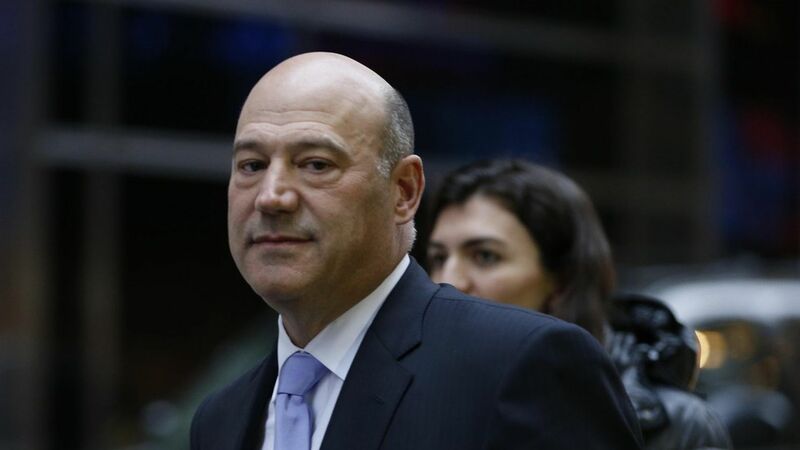 Gary Cohn: "We're not America Alone"
President Trump's economic advisor Gary Cohn rejected the criticism Friday that withdrawing the U.S. from the Paris accord is an "America Alone" policy. "We're not America alone. We're part of a world, an important part of the world," Cohn told CNBC. "World leaders look to us. I was with the president at the G7 meeting in Italy last week. ... I saw the interactions he was having with the other G7 leaders. We have a very important seat at the the table. The other world leaders are always involved with us and we're involved with them. And we're going to continue to have that position in the world." As for Goldman Sach's CEO first-ever tweet arguing that leaving the Paris deal was a bad idea? Cohn said he was "caught off guard" when he started tweeting that last night. On the jobs number coming in below the year's average: "We're not worried about slowing job growth. .. the fact that the [unemployment] number is down by 1% since inauguration day, we're clearly bringing people back into the job force." On the president taking credit for a million jobs this year: "The federal government data was not out yesterday when the president made his speech. So, as you know, there's just different ways of looking at data." On concerns the debt ceiling won't be raised by August: "If we need to get things attached to get [the bill] through, we'll attach things. At the end of the day, Congress is going to raise the debt ceiling because they have no other choice." Is he interested in the Fed Chair job? "No. I have a great job right now. Serving the president has been a dream come true. I come into work every day and I'm very excited to be in the White House." Flip-flopping on coal: "I said [coal] is not the most efficient feed stock today because of the price... that could change very quickly. We all have been around markets long enough to know that predicting the price of commodities is very difficult in any long-term scenario."